IT WAS ONLY in December of this past year, some six months after the event, that I realized the significance of 330, last year’s massive protest of March 30th, for Taiwan. 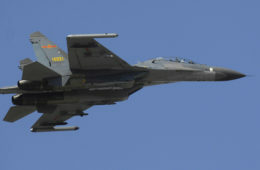 As was remarked upon by longtime Taiwanese independence activist Tsay Ting-Kuei during a talk he gave in New York City, as another way of looking at it, 330 was a failed revolutionary situation. 500,000 had descended upon Taipei—some two percent of the Taiwanese population—but the opportunity had actually been missed where no demands were realized from the government that day. Though protest had taken place during 330 on a scale not seen in decades, the protest had just been a large-scale demonstration, much larger than any of the large-scale demonstrations in previous months or years, but not substantially different where it was a one-day act of protest. Namely, 330 had not actually stood out in my memory of the Sunflower Movement as one of the events which was particularly unique where, I, as a participant observer was concerned. It had, after all, purely been my rather unique fortune that I was present on 318 and 324, where these were events that developed on a contingent basis and it had been just my luck that I was able to be at both. 330 was, of course, announced in advance, and it was an event in which there was an enormous amount of participants. Neither did 330 stand out in my memory as so dramatic an event as 318 or 324, which saw clashes with the police, where 330 was largely peaceful. But it is true that the high point of the Sunflower Movement in the public eye was probably 330. 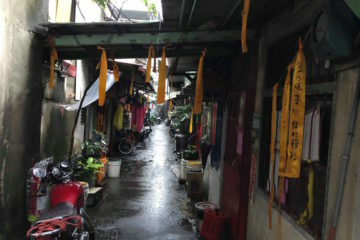 Where 318 marked the beginning of the Sunflower Movement, in the public perception of the Sunflower Movement, 330 was the culmination and realization of the movement. This was where the movement came together at its peak mobilization in which the people power of the Taiwanese public saw full expression. 330 came to represent an idealized culmination of the movement where protests were largely peaceful. 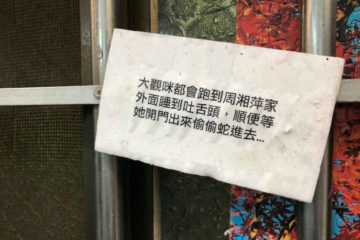 324 saw moral taint in the public eye because of its premeditated nature, for example, where 318 was morally idealized because of its unpremeditated nature with the perceived spontaneity of the occupation of the Legislative Yuan. As 330 had been declared just three days prior, but two percent of the Taiwanese population took to the streets of Taipei nonetheless; 330, too, had the appearance of total spontaneity. And it is in fact quite true that 330 is a remarkable achievement, whether in terms of the organization that came together in the days leading up to, or even that the event seems to have been financed by donations which came pouring quite out of nowhere from anonymous donors after plans for the march were announced. 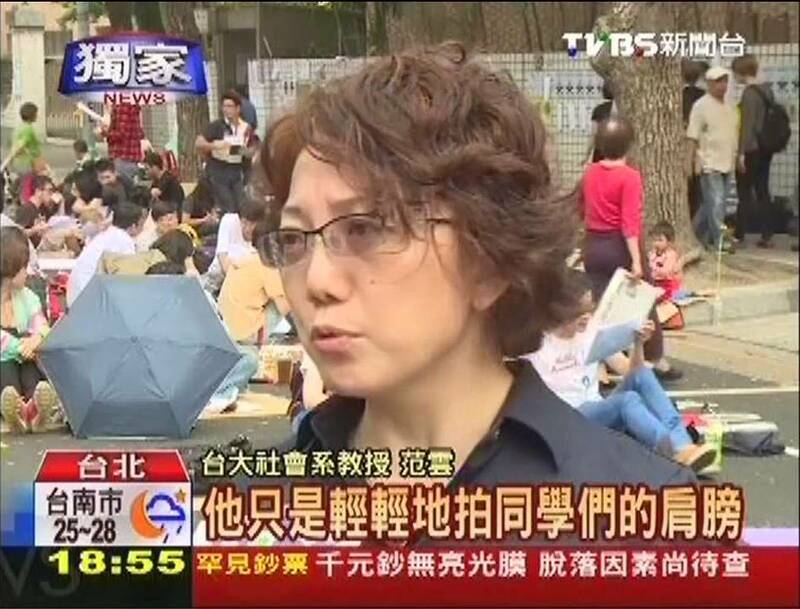 Where the protest color of the Sunflower Movement was black, that day, Taipei was a sea of people wearing black. A Missed Chance for Revolution? YET IN TAKING a more critical look back at 330, it is probably true that 330 represents a missed opportunity. To be sure, one can always be critical in looking back at events of the recent past. But it was the emphasis of organizers in keeping the event clean, keeping image-conscious, and not allowing the sheer scale of the protest to lead to chaotic disruption which point to how 330 could have, in fact, been revolutionary. We might suggest a historical counterfactual here for the Sunflower Movement, that is, an alternative set of events which might have taken place and would have almost certainly led to a different resolution for the movement. Apart from astonishment about the fact that 500,000 would take to the streets of Taipei for an afternoon, we might also be astonished at how quickly crowds dissolved once the event was declared to be over. By 6 PM, streets seemed to be largely clear, although to be sure, there was disruptions in public transportation immediately afterwards. We might see 330 as a strangely ephemeral event in how quickly crowds evaporated. 330 itself largely consisted of groups and individuals being stationary, sitting at a location, or camping out for an afternoon on Taipei roads. It would hardly be possible for 330 to have been a march, for example, considering the massive amount of people present. 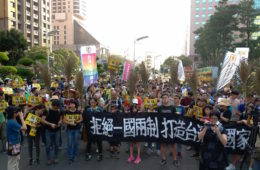 And the full mobilization capacity of Taiwanese civil society was certainly on display that day. Sitting there, camped on the streets, once in awhile messengers would come, shouting updates about the estimated size of the crowd which were then communicated by human microphone. At other times, the crowd would begin protest chants, an especially common one calling for Ma Ying-Jeou to step down as president. But, in fact, nothing so dramatic happened, and despite the very apparent effects of the event in illustrating the sheer size of public support for the Sunflower Movement, no concrete demands were realized of the government that day. When the organizers of the event decided it was time for everyone to go home they had, in fact, not secured anything from the government. Priority was on, again, keeping the event clean. 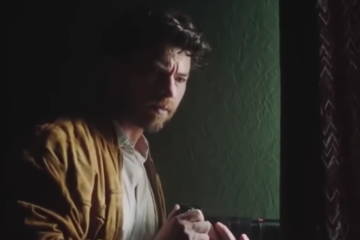 What if things had become messy? 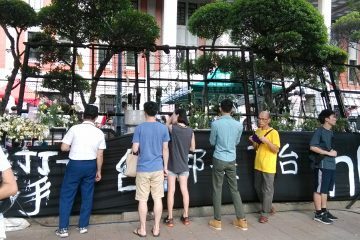 If the organizers of the event had asked people to remain indefinitely until some demand was secured of the government, or if large sections of the crowd had refused to leave until the government made concessions, what would have ensued might have resembled what happened on April 10th, the day that student occupiers withdrew from the Legislative Yuan. When certain occupiers refused to vacate the occupation encampment around the Legislative Yuan on April 10th, police moved in with force, violently driving them out. This led to a spontaneous demonstration the night of the next day, the night of April 11th, apparently organized through social media, in which a little over a thousand people surrounded Zhongzheng First Police Precinct in protest of this act of police brutality. 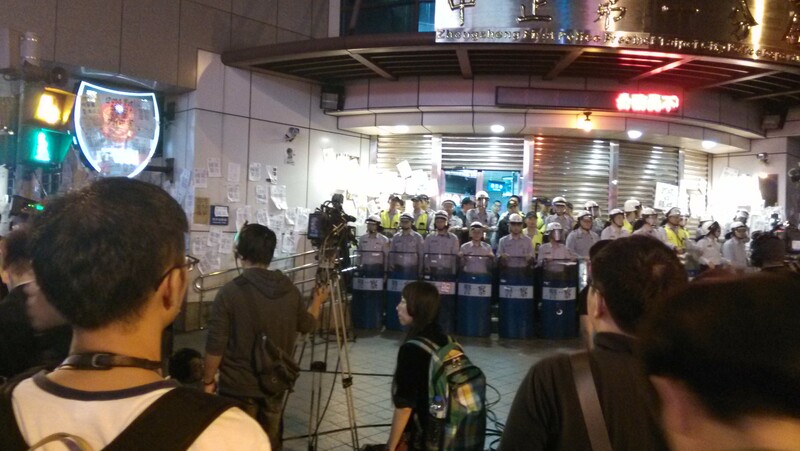 The crowd refused to allow police to leave the police precinct until Fang Yang-ning, the responsible police chief, came out of the station and resigned. Only then did they disperse. 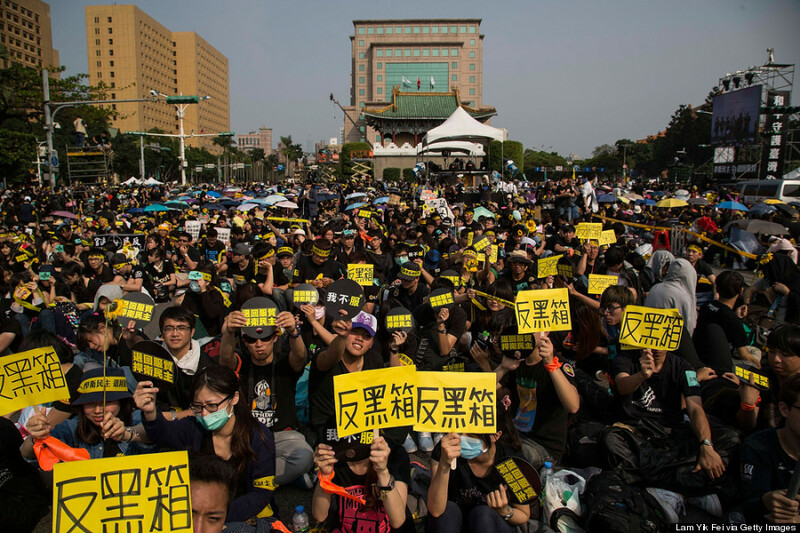 If in the face of 500,000 that refused to leave, the Taiwanese government still did not agree to meet any demands, it may be that the police would have stepped in with violence. It is hard to say, seeing as it is equally possible that the police would not have stepped in, given the sheer size of the crowd. But this might have had the effect of provoking a chain of aggressive responses from an outraged public in line with what happened on April 11th. It is hard to say what this would have meant for the Sunflower Movement except that the movement probably would not have been so “clean”, nor resolved on so neat a note. This might have been a “revolutionary” turn—in all the messiness that a revolution brings with it. But one year later, the issues raised by the Sunflower Movement are not yet resolved, and largely remain still up in the air. 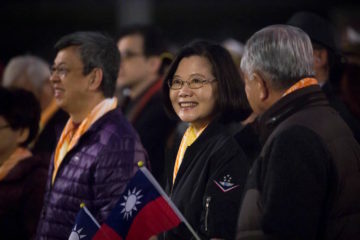 Support of Taiwanese identity is at a high and the KMT has suffered a series of crushing electoral defeats, some predicting that this heralds defeat for the KMT in 2016 Presidential and Legislative elections. 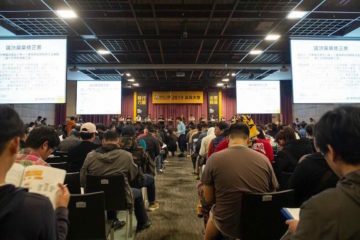 However, the KMT is still intent on pushing through policies intent on achieving the economic integration of Taiwan and China, apparently having learned little from the Sunflower Movement except to note that it has not succeeded very well in its efforts to appeal to Taiwan’s young to date. And the power of the KMT remains far from broken. 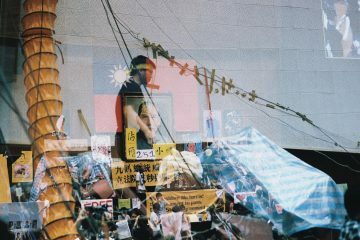 Taiwanese democratization remains incomplete, with the continued grip of the KMT upon sectors of the state which have never been pried away from KMT hands despite the rise of the DPP as a viable second party—what has been generally termed as “democratization” and is all too often assumed to be a completed process in Taiwan. 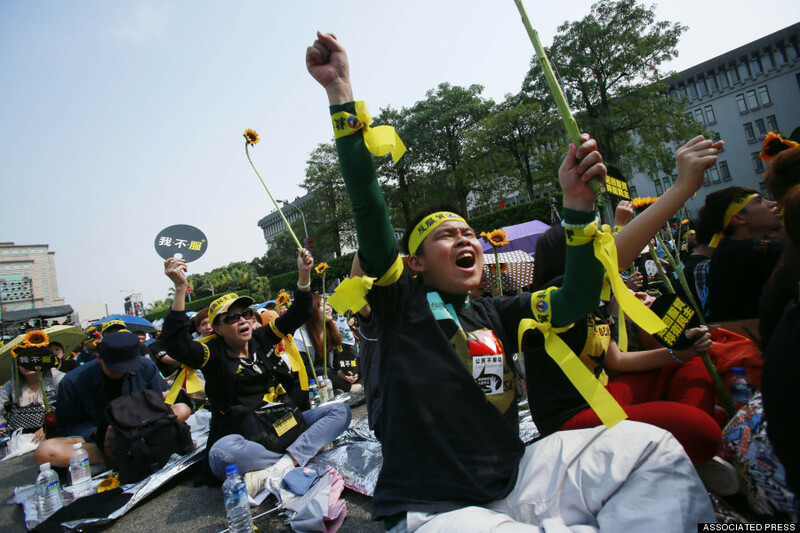 But where Taiwan’s incomplete democratic transition has to date been achieved through the power of the the people, as in the Dangwai Movement or the 1990 Wild Lily Movement, what would it have meant the Sunflower Movement to have taken a turn towards becoming a Sunflower Revolution? Social Movement or Electoral Politics: A Time For Demanding the Impossible? 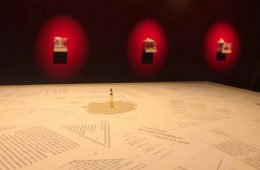 SUCH A HYPOTHETICAL turn would have brought with it its own mixed legacy, particularly in regards to that the movement would have been far more disruptive of the fabric of everyday life for Taiwanese—perhaps erring more towards something like the messier, less centrally organized, and more publicly polarizing Umbrella Movement of Hong Kong. And so it probably does not do for us to fantastically speculate about historical counterfactuals, or even to judge that it would have better for the movement to turn in this way, except to point to where such possibilities existed but went unrealized, and so this very recent history lingers on in the present. But what is at stake in politics in the year since 330 is precisely the question of people power, with the unmeasured ebb and flow of social movements, versus electoral politics, and the ability to point to concrete markers of progress that electoral politics would seem to bring with it. One year ago, in an article for Thinking Taiwan written roughly one month after the withdrawal from the Legislative Yuan entitled “Beyond the Sunflower Movement,” I remarked upon DPP chairman Tsai Ing-Wen’s comment at that point in time that “You cannot run a country on the basis of social movements. 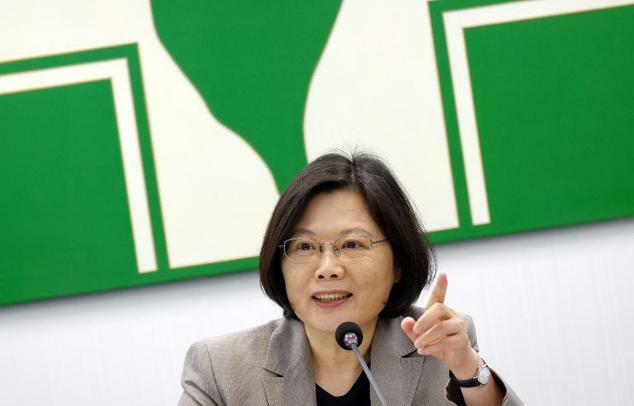 You have to go back to politics.” What Tsai Ing-Wen meant by “politics,” of course, was electoral politics, suggesting a definition of “politics” which excluded social movements and the like from what consisted of as a genuine “politics” with lasting effect. This is precisely the question at hand, which has remained a question from the Sunflower Movement to the present. Social movements or electoral politics? I predicted then that there would be tension between social movement activists and both Taiwanese electoral parties, KMT and DPP alike, going forward after the Sunflower Movement, and that this would be a, if not the salient question of politics going forward. At least in my view, my argument has been confirmed. But we might point towards the debates about the choice between social movements and electoral politics that subsequently ensued followed rather predictable grounds concerning the seemingly opposed choices of social movements or electoral politics. There is the longstanding view that social movements are unstable where civic order is concerned. While civil society as expressed through social movements can act upon the processes of legislature and electoral politics, in the end you have to go back to rule of law for there to be social stability. In this view, civil society can serve as the authentic, spontaneous expression of the public, but in the end, that spontaneous energy has to be directed into the controlled processes of law and electoral politics for social stability to be achieved. 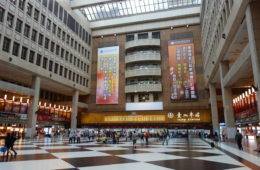 Where on the Taiwanese Left, this view has been expressed, it is to suggest that social activists are best served in advocating for their causes by, in last evaluation, turning their efforts towards electoral ends. Certainly, there is some truth in this, where the final guarantor of civic liberties is, in the present, the State. And this fact does not look like it will change anytime in the immediate future, whether in Taiwan or the world at large. But all too often this has been a rationale for calling for Taiwanese to support the DPP. 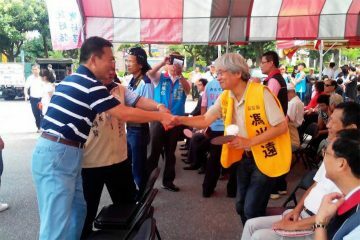 KMT power is still unbroken and it is too dangerous to vote other than DPP. New parties must learn to work within the system. This is political “reality”. This is to be “realistic” and not “idealistic.” Allying with the DPP would thus be the “mature” move of an “adult” civil society, when Taiwanese civil society as it is now is primarily composed of idealistic young people. So civil society should back the DPP, despite the DPP’s retrenchment on key issues when last in political power during the Chen Shui-Bian presidency, and increasing conservatism by the DPP in recent years. 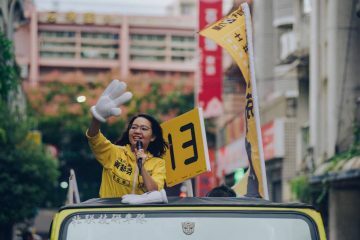 Yet contravening a strict binary between electoral politics and social movement activism, in recent months, following the victory of independent candidate Ko Wen-Je for mayorship of Taipei, despite not being a member of the DPP, Taiwan has seen political candidates running for office who do not have backgrounds in politics but in activism. This follows the example of Ko, who was not part of the DPP political apparatus because of his lack of DPP membership, but built up a successful campaign platform nonetheless. Ko also was not an established politician, but previously had no electoral experience. So have we seen the entrance of new parties onto the electoral stage as New Power Party and the Social Democratic Party, formed to put their own candidates into legislature who are not part of the DPP who would hopefully represent something more progressive for Taiwanese politics than what the DPP would represent. 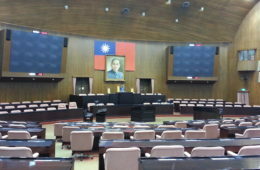 Such parties largely draw their constituents from participants in and supporters of Taiwanese civil society and their candidates are usually drawn from publicly well-known activists. And the two parties have shown signs of a tentative willingness to cooperate in order to resist defeat at the hands of either of Taiwan’s large parties and their party apparatuses, KMT and DPP alike. 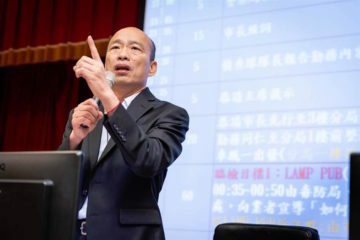 This has been illustrated, for example, in the willingness of central New Power Party candidate Freddy Lim to withdraw his campaign for legislator of his native Daan and run elsewhere in favor of Social Democratic Party candidate Fan Yun after she announced her candidacy for Daan legislature. 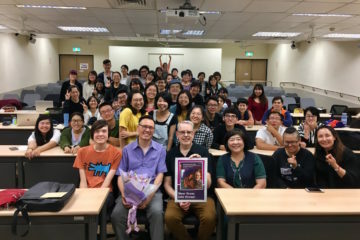 It is where civil society parties must cooperate that there is any chance at all of being able to push for a more progressive, Left-leaning alternative than that of the DPP, although the DPP and its supporters will very likely hold up the boogeyman of the KMT in order to accrue support. 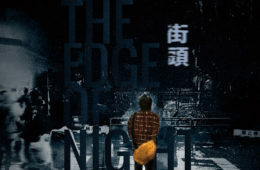 One year ago, 330 marked the date at which we can point to these dynamics which have dominated Taiwanese politics for the past year first began to emerge. 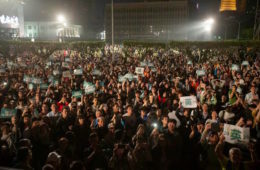 And 330 marked the date in which the full force of Taiwanese civil society, of the Taiwanese public at large, made itself felt in its full force with 500,000 on the streets of Taipei. Going forward one year later, how can we see to it that the expression of the people makes itself felt? Will it be through transcending the divides between social movement activism and electoral politics? Can there be a way of achieving concrete results in terms of social movement causes without giving up one’s “idealism” in the face of what passes itself off as “realism”? If last year’s Sunflower Movement was sparked by the idealism of Taiwanese students, perhaps we might take as our slogan the cry of the student movement of Paris 1968: “Be realistic, demand the impossible!” It may be that now is a time for demanding the impossible. And it may be in marking the beginning of this time which is the true significance of 330. 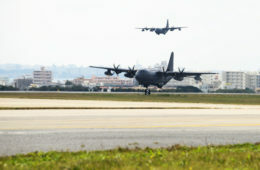 After all, the achievement of two-party democracy in Taiwan is a fairly recent development given the long history of martial law and one-party rule which is not uncommon many countries in Asia. When two-party rule is already on unsteady footing in Taiwan or elsewhere and the resurgence of former one-party rulers within a two-party system, as with the return to power of the KMT in 2008, is the best we can do, what would be “realistic” to hope for to wish for to more firmly establish two-party democracy? Where two-party democracy has established itself as the apparently most “stable” form of electoral system in liberal democracies, one can also point to how the system of two-party democracy has snuffed out genuine progressive politics when it becomes that neither party is distinguishable from another in terms of actual policy, only in rhetoric. This was the case in Taiwan, where the Chen Shui-Bian presidency and period of DPP rule, in fact, saw political retrenchment and conservatism, even as that period has taken on retrospective nostalgia after seven years of KMT rule. Where two-party democracy allows for a certain sort of social stability, it is the stability of where both parties enact the same general policy as fulfilling socioeconomic necessity rather than enacting popular democracy, and two-party democracy has developed as an ideal system for liberal democracies with free market economies in order to maintain this form of “stability”. But, more speculatively, can we aspire beyond to a viable third-party politics in Taiwan which can set an example for Asia, in illustrating how a people can rise up to stand up for themselves against entrenched political interests? Countries which have achieved viable third-party politics of the Leftist variety are few and far between and most would suggest that the possibilities for a viable Left third-party politics in Asia are off the table entirely, given the weakness of just two-party democracy. But can Taiwan set an example for Asia and for the world? This is the “impossible” demand that Taiwan must aspire to prove the possibility of. 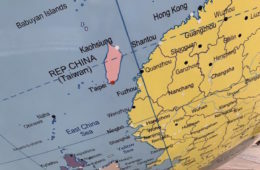 And if there is any country in Asia which can do so, with its history of popular protest, it is Taiwan. Against Both KMT and DPP?